Let’s Make Some Noise | Spaceship! Spaceship! Spaceship! Like all self respecting nerds I went to see Star Trek Beyond last year and thoroughly enjoyed it. 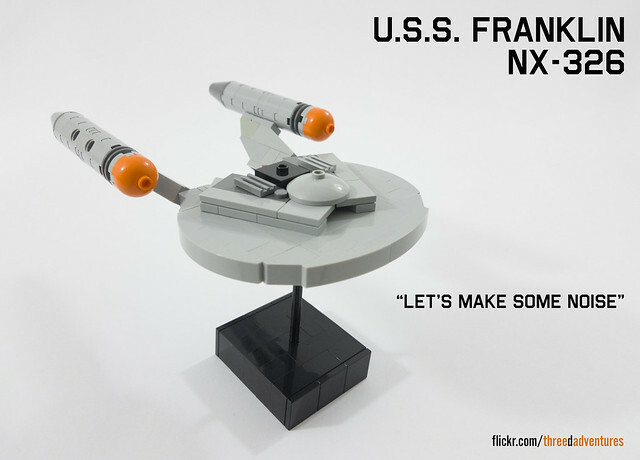 Being also a LEGO nerd, I rushed home and designed a model of the USS Franklin in LDD (whilst listening to the Beastie Boys, as I recall). I was really busy at the time, so unable to actually order the parts to build the model I just posted a WIP screenshot from LDD on Flickr. 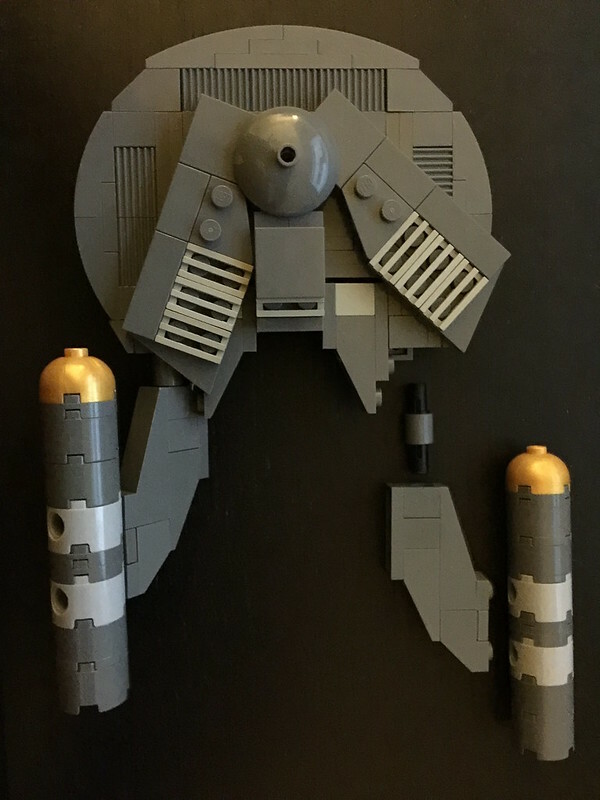 Flickr user NuthinButTheRain had seen my WIP, reverse engineered it and built his own version – before I had even finished it! He later completed the model as shown below. 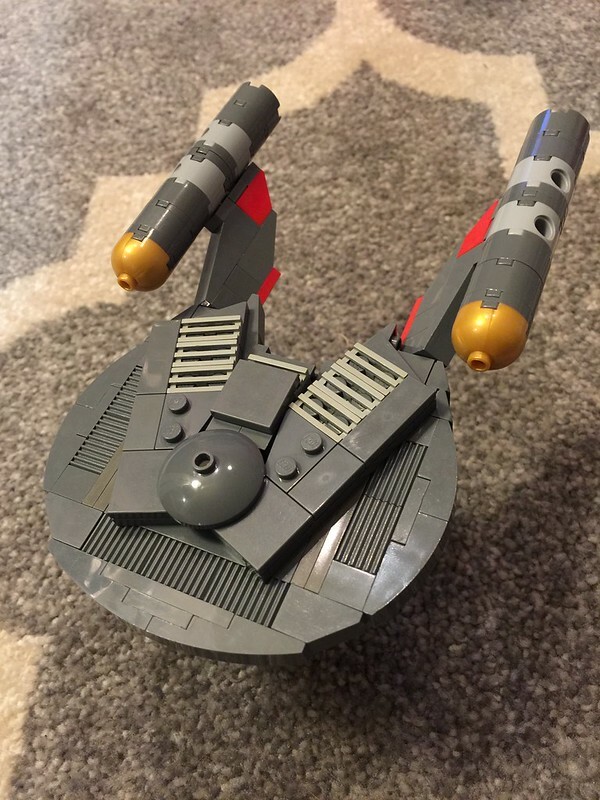 He’s built in dark grey rather than light grey and made some minor changes to the structure, but it was still really amazing to see a model I had designed being built by another LEGO fan. Meanwhile I continued to refine my design, aided largely by the revealing of new reference materials (principally this) and finally ordered some parts, built it and only last night got around to taking some decent photos. 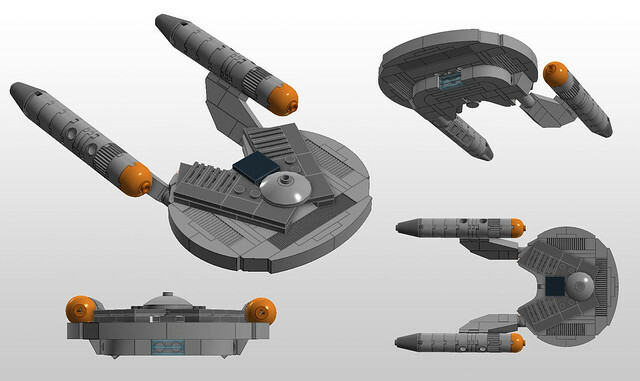 If anyone else out there fancies building their own you can download the LDD file here. Parts in green are entirely hidden and can therefore be any colour you like, and the two little 1×1 plate assemblies are (illegally) popped into the back of the 1x3x2 arches to make the impulse engines. 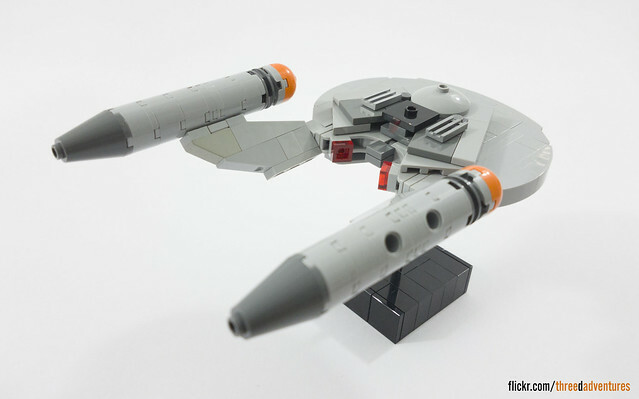 This entry was tagged LDD, microscale, MOC, shameless self promotion, star trek. Bookmark the permalink.